Fidel Gastro: Hey Philly, Wanna Open a Restaurant? Hey Philly, Wanna Open a Restaurant? 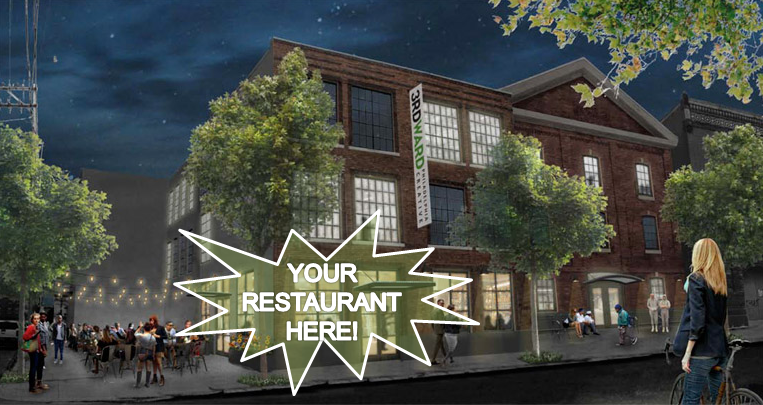 3rd Ward, a hub for all things creative, recently announced that they're headed down the turnpike to open a location here in Philly, and now they are looking to for somebody to keep their community of artists and makers fed. Because they walk the talk of community, they are conducting somewhat of an open casting call for the restaurant space. If you're vision aligns with theirs, I strongly urge you to check out the details in the RFP recently released on their website. There's an opportunity to get up to $80k in capital, and the process seems a lot easier than a month's worth of Quickfires and sleeping in bunk beds. Plus, you get to work with a solid group of folks that will be a welcome addition to Philadelphia's already amazing artist community. What a wonderful opportunity. I hope they give the same opening for Beccles Suffolk, too.